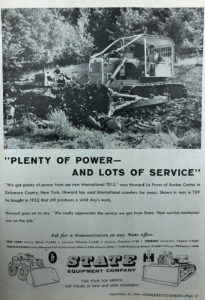 History | LaFever Excavating, Inc. 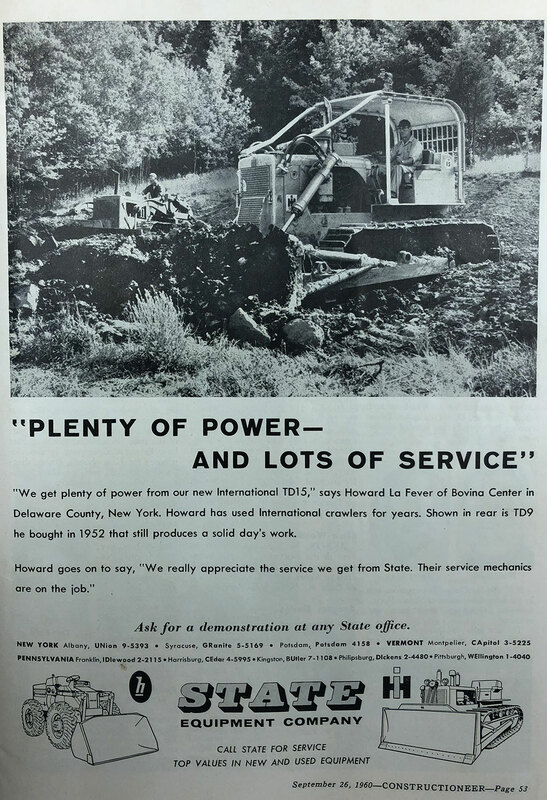 In the Spring of 1947, Howard and Laura LaFever purchased a bulldozer and a dump truck and started their excavating business. They named it Howard J. LaFever, incorporating in 1965. It was a busy time for them raising six children while growing their business, which consisted mainly of working with the dairy farmers of Delaware County, New York. 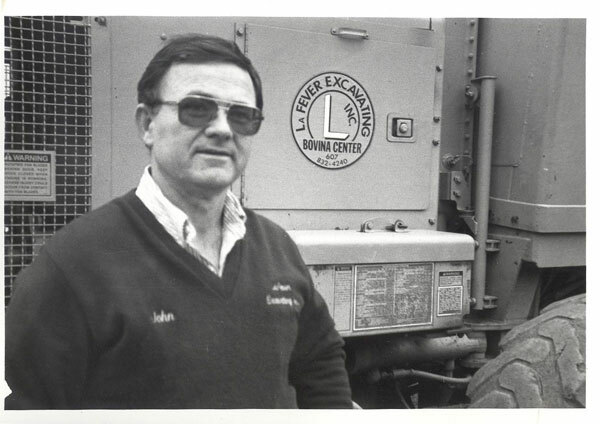 A name change was in order in the 70’s to reflect the nature of the business; hence the new name, LaFever Excavating, Inc.
Their son, John, joined the firm in 1969 and became Vice-President and General Manager in 1975. He and his wife, Susan, purchased the business in 1983. After John’s tragic death in a trucking accident in 1995, Susan and their son Jonathan have managed the Corporation. In 2011 Jonathan and his wife, Victoria, have become owners of the business and Susan and Jonathan still manage the Corporation. Currently they have eighteen very experienced employees on staff to accommodate the needs of their customers. Their earth moving machinery includes more than 35 pieces of heavy equipment; namely excavators, bulldozers, loaders, backhoes, graders, rollers, end dumps, and the well-known “LaFever Yellow” dump trucks! We invite you to browse through the various sections of this website and get to know us.